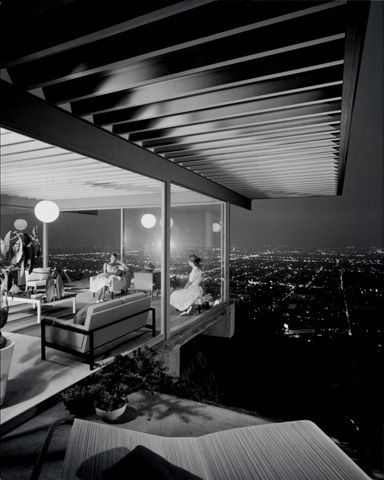 If you have ever looked book of modern architiecture or are familiar with the photographer Julius Shulman, the picture above may look familiar to you. Excepting for the fact that two young women (as seen in middle photo from 1960) have been replaced by my wife Kim and me, it was at this exact location where Shulman snapped the most iconic architectural photograph ever taken, 52 years ago. Over the recent holiday Kim and I spent a few days in southern California and the central coast, wine tasting and looking for the sun. 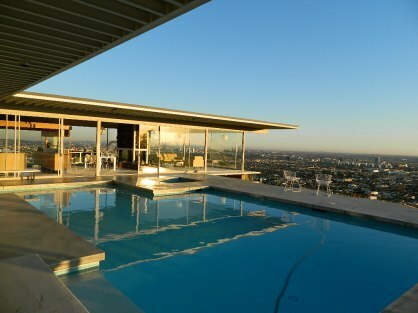 We found both in ample supply, and along the way we found the time to tour this Los Angeles house – known as Case Study House #22 and still held by its original owners, the Stahls – and learn about it’s history, it’s current condition and it’s value. In addition to the pleasures of the house, the tour and a remarkable sunset, we learned that the most recent valuation of the home was approximately $15 million dollars, and that offers of purchase are not uncommon. Although they no longer reside here, and while of course we are not privy to the details of their trust, the owners have never been interested in selling. Aside from docent-led tours and the occasional weekend visit by the Stahls, the house sits on its hillside, empty of occupants. Apparently, no amount of money can persuade the family to let it go. 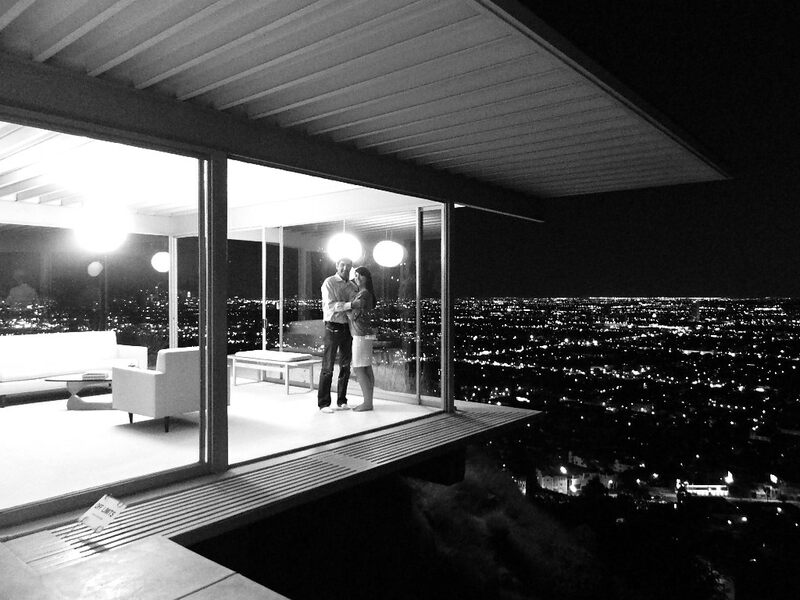 This is not a story about architecture, or photography. It is about the real or perceived value of personal possessions: How is it that untold amounts of money do not always convince us to part with them? What does this say about the value of these connections, and how does this relate to the meaning they hold for us? Understanding the power of that connection – for the Stahls and for each of us as well – can reveal much about the importance of what we use our money for, and about the inter-connectedness between the things we own, our values, our personal histories and the way we live our lives.